Cool Masters services and repairs all types of heating, ventilation, and air conditioning (HVAC) systems. Our experienced, knowledgeable technicians provide superior service in a timely manner. When it’s time for you to choose a new heating system, we can perform load calculations to determine the size, make, and model that’s best suited to your needs. We’ll help you make an informed decision that keeps your best interests in mind. Your heating system makes up a significant part of your home’s energy budget, so it’s important you get the right type, make, and model. It’s also important to get the right installer. Cool Masters employs highly trained, certified technicians who are skilled in completing reliable heating equipment installations. That’s important because faulty installation can cause damage that leads to breakdowns and impact the life of your system. If you’re having trouble with your heating equipment, call us. Cool Masters can provide quick and reliable repair service for all types of problems. The blower doesn’t push air through or the blown air isn’t as warm as expected. You have uneven temperatures in different rooms or areas. Your energy bills keep going up, even though you haven’t increased your usage. You hear grinding, crackling, rumbling, banging or clicking. Your system turns on and off more frequently than usual. Our professional technicians will explain what they’re doing and why. They’re always happy to answer any questions you may have. 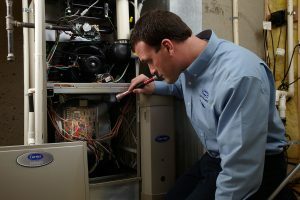 Cool Masters has more than 45 years of experience in heating and air conditioning and our experience proves that regular maintenance extends equipment life, improves safety, and reduces repair expenses. Furnace problems can happen at inconvenient times. That’s why we offer 24/7 emergency furnace and heating repair service. Our skilled technicians, are on call around the clock to fix your heating issues as soon as they arise. Call Cool Masters at the first sign of problems. Located in Lawrenceville, Cool Masters offers heating repair services throughout the surrounding areas including Suwanee, Gwinnett, and Metro Atlanta. We provide competitive prices with skilled, careful workmanship and exceptional customer care. We’ll clearly describe the issues and explain your options. We want you to have the information you need to make the decision that is best for you. Our mission is to assure your comfort while saving you money. If you’re facing a problem with heating, we have the expertise and experience you need. Contact us today!